Skullz wrote Sun Aug 19, 2018 1:22 am: If the backups on our offensive line are forced to start we are royally fucked. One bad player can get schemed around, but if we have two or more holes along the offensive line goodbye season. StIll we can cross that bridge when we get to it. I don’t expect pro bowlers at every position given where this team is at in its development right now, but if enough things fall our way this year, health chief among them, zero reason why this team can’t make a run. Yup..... but like I said, Feliciano is absolute TRASH as a center.... this clown can't even snap out of the shotgun, it's either over the QB's head or straight into their legs. And he wasn't that great as a guard either, so he's an easy cut. Get someone that has actually SNAPPED a damn ball in the past and sign them to be our backup. Check to see how many blitzes he missed. Jon said he needs to do the other things to make the team. Chiefhater wrote Sat Aug 18, 2018 5:47 pm: Did Key play today? Yes and I wasnt impressed. Looked locked out for the most part. Saw him start a move and half way through it went to another move. Ball was gone by then. And this vs backups. He has potential but feel hes a year away from making a game long impact. He needs to add streagth as well. On an EJ sack Richard was WIDE open over the middle for the easy completion and run. EJ didnt see him. Warran has NO business being a reciever. Hes slow and was blanketed by the LB each time. The offense would've better been served If he lined up in the i and helped with the pressure. Brown 81 can go today. I saw ALOT of double pumps. Both QBs had zero confidence or they were just under too much pressure. Key is a year away easily. He needs to add streagth. Our new punter doesn't look to have much of a leg. My money is on Richard. He's deadly out of the backfield with the catch-and-run. Something we haven't seen Washington do. Both quarterbacks look completely lost. It's an unfair judgement though as they were under pressure after one second almost every snap. I'd like to see them with the ones to truly get an idea of who can run the offense. That said I dont believe in either. The Raiders should find a back up qb that can win a game. The defense look completely different from years past. I like the way they swarmed to the ball, and made tackles immediately after the catch. Calhoun seems to have finally gotten it; barely, bit it was vs twos and threes. He made some nice plays but the face mask in the end sealed his fate. He's a nice backup but his potential is not there. He's the same guy I scouted coming out of college and didn't think much of. One player who always seems to make an impact play, sack, fumble recover, int is James Cowser. He did the same thing in collage. Not saying he is starter material but as a backup he always seems to just get something done. Cant teach this and hope he makes the squd. Mack should play out is 5th year option. With the easy schedule, a DC who knows what he's doing, corners that can actually cover and D tackles that demand double teams it's possible he could have 20 sacks. Reggie should sign him now because itll cost them more after this season. I think we all agree that Mack has had NONE of that throughout his young career. I loved the stacked WRs on both sides and then the run up the gut. Was that a throwback? Thank you Mark Davis for having the Balls to step on your GM and get a coach. Gruden has this team fired up. Maybe I should thank Al. Though Mark played no role in his days it looks as if he did paid attention. All in All not the game I wanted to see but fine with it. At least I knew our starters weren't going to blow out a knee or something. On a side note the NFL should investigate all the ACL tears. I don't know if it's a certain brand of cleats, the playing fields the lack of contact in the off-season but acl's are being torn at a ridiculous rate. Knock on wood. Agree on the ACL's and had the exact same thought yesterday. Whether it's stretching, equipment, or field related, there has to be a way to minimize those. Just because guys actually come back from them now in a year isn't a reason to try and avoid them in the first place. 1. Warren should make the team; but puzzled by the fact that the other RB backups were not used much - if at all - since there is a competition going on to make the team. 2. 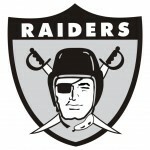 Yes Cook and Manuel looked bad but in the first half - the Raiders backup OL were getting blownup by the backup Rams DL. This game told me that the Raiders backup along the OL are not good pass blockers. Raiders OL has to stay healthy this year. 3. If Conley can stay healthy- that will go a long way to improving the defense. He does not disappoint on the field - it is just disappointing that he has been unable to get out there...hopefully that changes this year. 4. What a scheduling fuckup. Many teams played starters the entire first half this week getting ready for the season. Raiders and Rams basically lost a chance to get their starters work. More damaging for the Raiders since they have an entirely new coaching staff, new offensive and defensive scheme and quite a bit of turnover. 5. I have said earlier that the Raiders should only keep 2 QBs and fortify another position (RB) and this game only confirmed that it would be a waste of a roster spot to keep BOTH these guys. As with many teams - season will be over if the starting QB goes down...so why keep 3? As bad as Cook played - would still stick with him to see what could happen with him if he stuck around. Still think he has a chance to improve...Manuel is what he is. 6. Hall and Hurst both looked disruptive and with further work will continue to improve. Key did not shine in his first preseason game ...but it was his first game. Guenther did not unleash these players - defense was vanilla. That said, Calhoun was in the backfield quite a bit...really beginning to look like a player who was completely wasted by bad coaching. 7. The most important thing remains - as with all preseason games - no major injuries....so that was a huge win. Your last point re injuries is the biggest take away. I don’t care about pre season only that players don’t get injured long term. Was going to do a separate post about it. Do we see more long terms injuries now?? Or is it better diagnostics? Radman wrote Sun Aug 19, 2018 5:25 am: Agree on the ACL's and had the exact same thought yesterday. Whether it's stretching, equipment, or field related, there has to be a way to minimize those. Just because guys actually come back from them now in a year isn't a reason to try and avoid them in the first place. I had this thought a few weeks ago and did some research on it. There is no way to strengthen the ACL and it’s just not built to withstand the type of torque modern athletes put on it. Unless someone comes up with a device that limits the motion of the knee before it reaches tearing point, it will continue to be a problem. I wish I could have enjoyed the game with you guys, but the site had exceeded its limits and I couldn’t log in. Melvin/Conley should be a nice tandem. Hoping we have enough money to consider signing Melvin next offseason (Mack contract). I saw a lot of d players swarming to the ball. That was nice to see and we seem to have some speed at the LB position. Are we showcasing Richard for trade bait? Thought it telling Washington didn’t take a snap that I saw. Can’t wait to actually see some real action against GB next week. Should be a good barometer test for this squad. deathstar wrote Sat Aug 18, 2018 4:32 pm: I have said this all along, Connor Cook is trash. He never had a good game in preseason, regular season, and playoffs. He is no longer a rookie so you can give him that excuse too. I will say there are other QB's we like to trash around here and they've done A LOT MORE that Cook. But it isn't like Cook is on easy street these days. Yesterdays game for fans was a dumpster fire. I hope Chucky had a plan to get something out of that mess. I really thought Joseph would step up with the new coaching. Looks the opposite. I know people don't want to hear it but EJ has shown far, far more in his time in the NFL than Cook has. I know Cook is younger and hasn't had the chances yet but if I'm coaching tomorrow against Mars for the Solar System Bowl and they are my only options with what I know right now I'm taking EJ. Cook may well be better in time but if Carr is our guy long term maybe EJ for now and go looking hard for someone else. Jeevo wrote Sun Aug 19, 2018 12:08 pm: I know people don't want to hear it but EJ has shown far, far more in his time in the NFL than Cook has. I know Cook is younger and hasn't had the chances yet but if I'm coaching tomorrow against Mars for the Solar System Bowl and they are my only options with what I know right now I'm taking EJ. Cook may well be better in time but if Carr is our guy long term maybe EJ for now and go looking hard for someone else. Sadly i think you are right. If Cook cant get significantly better under Gruden, he never will. That being said, EJ is trash too. Could we seriously not do better? I really wasnt that impressed by Warren. He had huge gaping holes to run through. I like how he finished some runs but like Gruden said, he needs work on the other aspects of being a rb. He had some holes that game that I coulda gotten the same yds thru lol. He is not fast or elusive but doesnt run as physical as someone his size should. Think he ends up on practice squad. The AzzAzzin wrote Sun Aug 19, 2018 12:33 pm: I really wasnt that impressed by Warren. He had huge gaping holes to run through. I like how he finished some runs but like Gruden said, he needs work on the other aspects of being a rb. He had some holes that game that I coulda gotten the same yds thru lol. He is not fast or elusive but doesnt run as physical as someone his size should. Think he ends up on practice squad. At least he hit the holes. Murray wouldn't have found it.